When it comes to first aid, it’s just about impossible to be too prepared. 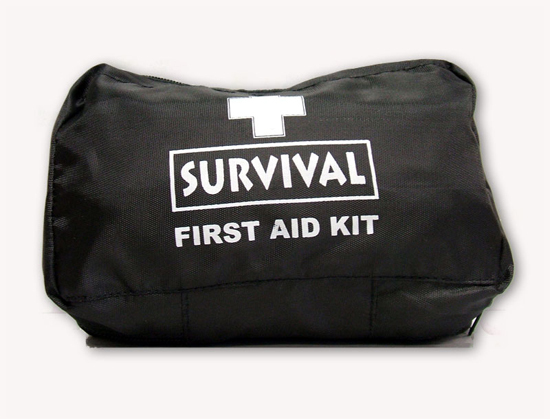 When it comes to first aid, it’s just about impossible to be too prepared. Sure, you definitely need a solid first aid kit at home and in the car, but in the case of a true emergency, those supplies will run out fast. With traditional supplies gone, you’ll need to rely on other sources for help, and lucky for you there’s a lot out there. Everyday items in your home like tea bags, Elmer’s glue, and even wooden rulers can all help rebuild your first aid kit in an emergency, and their alternative uses are good even today. Check out the list below and make sure to check the comments for home remedies and alternative uses that others like that we didn’t list here. 1. Oatmeal – While oatmeal is a great way to get breakfast, it’s also pretty amazing for your skin, too. An oatmeal bath eases the pain and itchiness from rashes and poison ivy as well as sun burn and eczema. An easy way to draw an oatmeal bath is to place oatmeal in a stocking and soak it like a teabag in the water. 2. Honey – While a perfect sweetener for your tea, honey is also great for helping to heal burns, too. Just spread it over the burn and cover with gauze. You can also use honey to disinfect wounds and even help with a sore throat! 3. Tea Bags – Speaking of tea bags, they’re good for more than making tea with, too. Tea leaves are excellent anti-inflammatory agents, which means you can use them to relieve bee stings, boils, and other skin irritations. You can even use them on hemmorroids. 4. Elmer’s Glue – As kids just about all of us put Elmer’s glue on our hands and peeled it off. While this is fun as a child, it’s actually pretty useful as an adult. If you get a splinter or metal sliver in your skin you can cover it with a drop of the glue, and when dry peel it off. The sliver will come with it. 5. Super Glue – If you have a cut that won’t seem to stay closed, you can actually glue it shut with superglue. Clean the wound and spread a thin layer of glue on the cut. Trust me, you want to get as little inside the wound as possible. It doesn’t feel too good. This can irritate your skin, so use sparingly and at your own risk. 6. Duct Tape – You don’t need a list to tell you duct tape is useful, but you can always use a few good first-aid uses for the wonder tool. Paired with some gauze you can cover a blister safely with duct tape as well as making makeshift bandages. You can even get creative and make splints, braces, and even arm immobilizers that wrap around your neck. 7. Wooden Ruler – A simple wooden ruler is perfect for making a splint. Place it against the broken limb and wrap with fabric. Don’t wrap completely with duct tape though, as it’ll be too difficult to remove. 8. Tampons – These are the wonder tool of your new first aid kit. A tampon can stop a bloody nose, aid in absorbing blood from a medium-sized wound, and help with absorption just about anywhere on the body. 9. Toilet Paper – File this under something you don’t respect until it’s gone, toilet paper is a definite necessity, that’s for sure. Above it’s intended use, you can use toilet paper for bandage creation if you’re in a pinch as well as use pieces to apply medicine and even twist to use as a wick for a candle. You can’t do too much first-aid in the dark, now can you? 10. Dental Floss – In a land without dentist offices, keeping your teeth clean is a necessity most people can ignore, but an infected tooth can kill you just as easily as dehydration or injury. For this reason, it’s worthwhile to keep dental floss with you, but there are a few other uses, too. You can suture a wound with dental floss, just make sure you don’t use the flavored varieties. There are non-first-aid uses too, like making a small game snare, too. 11. Towels – You can use multiple junk towels stitched together to make a blanket, you can shove them under doors to keep drafts out, and when ripped into strips, they can be used as splint ties, tourniquets, and even bandages. 12. Garden Hose – Beyond the standard use of getting water from one place to another, you can use small pieces of hose to protect your hands from shark or wiry items. Just split the hose down one side and slip over the offending item. Large enough hose can be split down one side and used as a finger splint, too. 13. Lumber – Depending on the size of the lumber; it can be used for immobilizing limbs and for making splints. 14. Garbage Bags – When talking survival medicine, garbage bags are worth far more than their weight in gold. Remember that a garbage bag is basically just plastic sheeting that’s formed into a bag. This plastic sheeting can be used for waterproofing first aid supplies, covering a wounded foot with, and even for carrying water. Your best bet is the simple thick black garbage bags that are used for lawn maintenance. 15. Non-Sudsing Ammonia – You can use ammonia mixed 50/50 with water to relieve and treat insect bites. 16. Liquid Dish Soap – Mixed with water and placed in a sealed bag, you can cool dish soap and use it as an ice pack. 17. Bleach – Bleach is the survivalists best friend. It can be used for decontaminating surfaces and disinfecting drinking water, which is vital for first aid. 18. Plastic Wrap – Plastic kitchen wrap is great for protecting burnt skin. Thoroughly clean the skin and apply any burn cream you may have, then loosly wrap in plastic wrap. The wrap should only cling to itself, leaving your wound protected from infection. This needs changed often and your burn will need cleaned frequently, but it can be a huge help. 19. Phone Book – In the case that someone comes across live power wires and touches them, their muscles tense, making it impossible for them to let go of the wire. If you try to grab them, you’ll be shocked, too. A phone book is thick enough that it can be used to push the person out of the way. Also, you can stand on a decently thick phone book to un-ground yourself so you can use a wooden stuck to move the wire. 20. Credit Card – This works for any hard plastic card, including drivers licenses and even medical cards. If you’re stung by a bee you can scrape towards the tip of the stinger to pull it out. This is only a sampling of uses for everyday items for first aid. Have a favorite we didn’t mention? Leave it in the comments below.